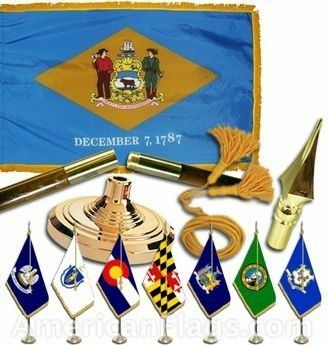 AmericanFlags.com is proud to carry Delaware State Flags in a variety of materials, and styles, in sizes ranging from 4 IN X 6 IN to 12 FT X 18 FT. All of our Delaware flags meet official specifications, are on sale right now and are ready for immediate shipping to your door. 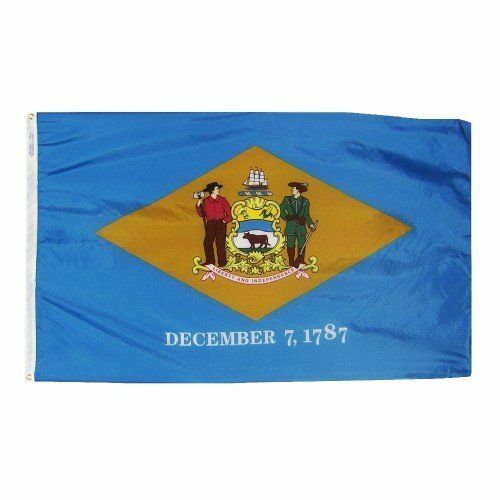 The Coat of Arms of the State of Delaware is featured prominently on a buff-colored diamond, which sits on the state flag's field of colonial blue. 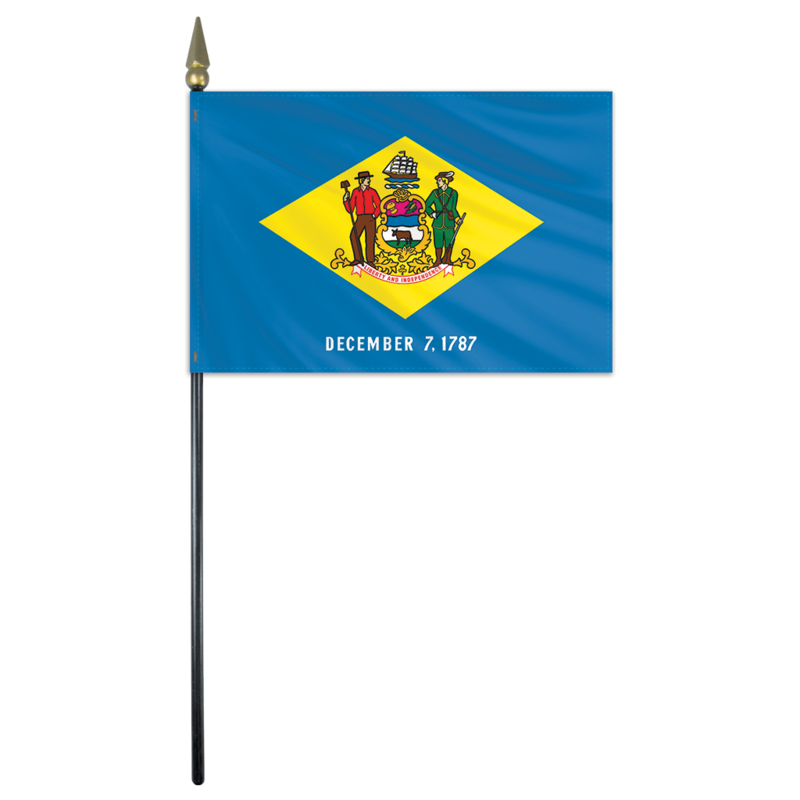 The date, "December 7, 1787," is inscribed on the flag below the diamond, indicating the day Delaware became the first state to ratify the United States Constitution, and therefore, the first state in the Union. 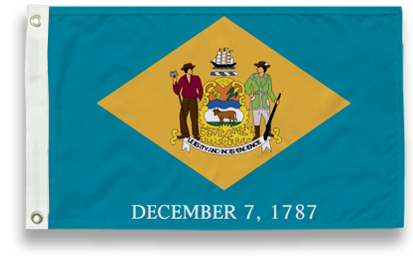 Adopted on July 24, 1913, the flag has shades of colonial blue and buff which symbolize the colors in Col. George Washington's uniform. 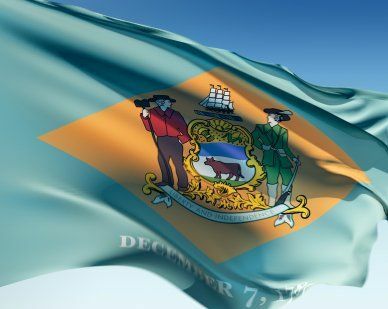 The words "Liberty" and "Independence" written on the ribbon that appears in the flag's diamond pays tribute to Revolutionary War soldiers.